Camp Denali is situated on 67 acres of rising terrain, centered on a pond that reflects up to eleven major peaks of the Alaska Range. 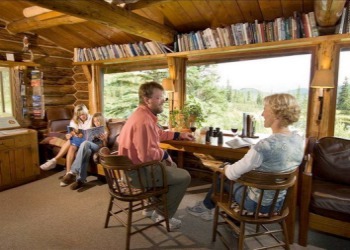 A hand-hewn log lodge, built by the founders in 1954, still offers up hospitality at the heart of Camp Denali, while guest cabins are set along an ascending ridgeline to take best advantage of the surrounding views. A new dining hall, a natural history resource collection, a modern shower and bathroom facility, and other public spaces radiate out from the lodge. 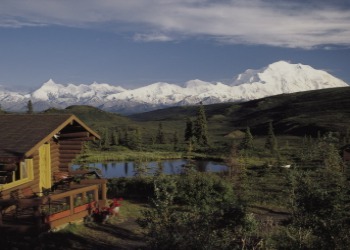 The newer buildings and facilities complement Camp Denali�s rich history and reputation as one of the first wilderness lodges in Alaska. 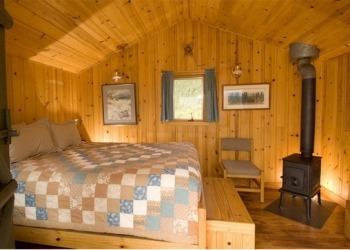 At Camp Denali, lodge accommodations are in well-spaced cabins, appointed with traditional cabin amenities including hand-sewn quilts made by our staff, wood stoves and propane lights. Drinking water comes from a spigot by your door, and may be heated in your cabin for a quiet cup of coffee, tea or for washing up. Camp Denali's meticulously maintained outhouses offer private, convenient facilities, and each guest cabin enjoys clear views of Denali when it's out. The dining hall, lodge, natural history resource collection and a modern bath and shower facility are a three to seven-minute walk from your cabin. Camp Denali sits right at the 2,400 foot tree line, providing access to native tundra and taiga habitats right from your door. Camp Denali has specialized in learning adventures and hiking vacations for active travelers since 1952. From your initial drive into the park to the guided outings and evening programs, our goal is to share the park with you�its landscape and scenery, history, wildlife, wildflowers and birdlife. 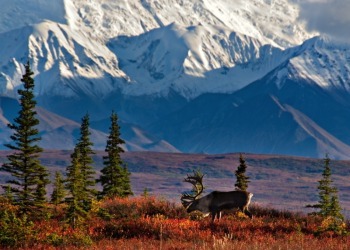 For many visitors traveling to Alaska, hiking is a priority activity. Camp Denali and North Face lodge offer both hiking opportunities and leisurely options for getting out with our naturalist guides, as well as independent activities. Every year the SnowCastle is designed and built according to a different plan as well as according to a different theme. In 2006 we took the idea of a specific theme to support the designing of the SnowCastle; in 2006 the theme was Fire, 2007 The Sea, 2008 Travel, 2009 Design, and 2010, as the SnowCastle celebrated its 15th anniversary, the theme was National Romanticism.The theme for the year 2011 was Comics. 2012�s theme is sports. Each year we try to select a theme that is actual and many-sided. Year 2012 is a noteworthy year for sports, in addition to which Finland also celebrates the 60th anniversary of the Helsinki Olympics. During your stay, knowledgeable naturalist guides lead daily outings to explore Denali's trail-less terrain and to view wildlife. This is the mainstay of our educational programming. Our longstanding history in the area has awarded us the opportunity to hike with you into the wilderness core of Denali National Park. Our designation as the park's historic operator means we hold the exclusive rights to commercial guided hiking.